Just a few scrolls through the Ford Foundation's JustFilms initiative's collection of funded films since its founding in 2011 reveals some of the most interesting social-justice documentaries of the past decade: Laura Poitras' Citizenfour, Shola Lynch's Free Angela and All Political Prisoners, Connie Field's series Have You Heard From Johannesburg?, Yance Ford's Strong Island, David France's How to Survive a Plague, and the films of Frederick Wiseman and Stanley Nelson, to name only a few. This year's Getting Real conference features JustFilms' program officer Chi-hui Yang as one of its keynote speakers. The Taiwanese-American Yang was director of the San Francisco International Asian American Film Festival from 2000 to 2012. Now called CAAMFest (for the Center for Asian American Media), it's the world's largest showcase for new Asian American and Asian film, with major sidelines in food and music, in San Francisco, Oakland and Berkeley. While helping to curate the shorts programs and covering the overall festival for various publications, I got to see how this ambitious, vivacious pioneer expanded the boundaries of Asian American and Asian storytelling, noticing especially how the roster of documentaries grew in richness and number under his directorship. Yang has gone on to work in varied fields, all tied to documentary in different ways. He was a selection committee member for MOMA's Doc Fortnight, consulting series producer for PBS' POV, and curator of more commercial films for Comcast's Cinema Asian America VOD series. He curated "The Age of Migration" for the 2008 Flaherty Film Seminar and has taught at Columbia University Graduate School of Journalism, Hunter College and UnionDocs Center for Documentary Art. When I finally caught up with Yang for a talk, he apologized for being hard to track down. Between caring for an ailing parent and raising a toddler, he epitomizes the "sandwich" generation, juggling the needs of his family while pursuing a multi-faceted career in documentary. I asked him what kind of curatorial sensibilities he had developed over his career so far. "What motivated me was this notion of what an Asian [American] film was," Yang reflects. "That helped shape my approach to curating in that it's such a complex and malleable term that, on one hand, can mean something very specific, but on the other hand had enormous capacity for growth and redefinition. It can always be expanded and it can always produce unexpected interpretations, framing or context." What does "Asian American" mean? "What always interested me was how to use a category that could mean a particular thing to many people—but to use that notion to test out what people brought to it," he explains. "And for me that was very much a political act, because it was speaking about how race and culture and identity and categorizations functioned—how they are socially constructed. How would a curatorial approach test those definitions?" Yang's vision of Asian (American) experience includes bi/multi-racial and intersectional varieties. "I was invested in contesting and expanding notions of what racial category could be, and the problems with how race is categorized within the United States. But then also how it operates globally, or how national identities and national cinemas function. The construction of Asian American in my mind is not so much around culture or religion but around the shared experience of how race is constructed in the United States." Who is seen as, and who defines themselves as, "Asian American" these days? East Asians (Chinese, Japanese, Korean) have long been seen to fit that definition, while recently Southeast, South Asians, Pacific Islanders and Central as well as Near Asians have strained the bulging envelope of this term. Despite being very different cultures, Yang says, "These communities have a shared experience of how race operates. And of course it goes back to larger notions of how the 'East,' the 'Orient' and 'Asia' have traditionally historically been constructed by the West. Asian America, to me, has always been a category defined by its un-definability—or by its endless ability to welcome or to expand. That's a fun playground in a film festival." According to Yang, "The true challenge of documentary—not just Asian [American] documentary—is how the form acknowledges itself. How does it confront the notion of representing reality? I think it has a lot of parallels with how a certain community defines itself. And so for me the challenge has always been how to expand categories and to interrogate the forms that we use to represent the world around us." Moving from programming an Asian American film festival to choosing Asian (American) films for Comcast VOD forced Yang to exercise a whole different set of muscles. "I helped to launch a commercial venture that measured its success in terms of number of views, not so much in terms of depth of engagement or the experiential qualities of watching cinema. I always tried to include a number of films that were maybe more challenging or a little bit different. But the project there was much more focused on commercially viable films that brought Asian American stories to a broad national audience. The challenge there was that the Asian titles always did much better than the Asian American titles. It also depended on which community uses video-on-demand, which is what that service is. The South Asian and South Asian American titles did incredibly well. That reflected where that community was and how they consumed media." Yang's work with the 2008 Flaherty Film Seminar curating "The Age of Migration" immersed him in more esoteric approaches to documentary. He reflects, "I programmed it in 2008, and then I was on its board for about 10 years, so I was involved at a few different levels within the organization. I programmed it while I was still with the CAAM film festival, and I had continued a role with the organization for many years after, concurrent to working for Comcast. I think that I have always wanted to hold a few different curatorial hats." The Flaherty Seminar has been described, Yang says, "as an idea laboratory. It's a week-long film gathering that is curated each year by a different programmer around a theme. The curatorial challenge for the Flaherty is that you are given carte blanche as a curator to bring 12 living filmmakers whose bodies of work speak to a particular concept. So it's a place of engaging with the ideas and the forms of documentary, and to discuss how the filmmakers address current politics, aesthetics and culture. The Flaherty "is very much an immersive, engaged space. My background when I was working with the film festival was equally in public programs as it was in academia and writing. So the Flaherty was an opportunity to do a bit more of that academic work in a way, and to do programming that spoke to a more analytical and experimental approach to documentary." Yang speaks of his excitement engaging with filmmakers as varied as Iran's Bahman Ghobadi, Portugal's Pedro Costa and the US' Renee Tajima-Peña. "My different jobs have allowed me to exercise creativity in different ways. The CAAM film festival allowed me to work in a community-based setting. The Comcast work was challenging work in a commercial setting. The Flaherty was an opportunity for me to work with any artist I wanted to who I thought was doing important work." I asked Yang about his current role as program officer at JustFilms. "The Ford Foundation is a social-justice philanthropy, and our job primarily is as grant makers. I work with a team of individuals to make grants to support filmmakers who are making documentaries that are addressing social-justice issues. I really enjoyed working as a curator, but when I moved to New York I realized that there were a lot of incredible curators working everywhere around me. While I was contributing to producing knowledge through my curating, I thought that I could actually contribute more potentially by working in philanthropy, where there are very few gatekeepers that have the kind of priorities that I have. Very few gatekeepers of color who have resources and can make them available to filmmakers. I was also craving to learn a different set of skills. So my job here is to develop a portfolio of documentary projects—about 25 to 30 films each year. Within that, we want to have a broad range of filmmakers, approaches, content, themes, geographies. I work with each of those filmmakers very closely to help develop those projects. I still have a relationship with filmmakers, and it is a gate-keeping role. But this way, it is dispersing dollars." 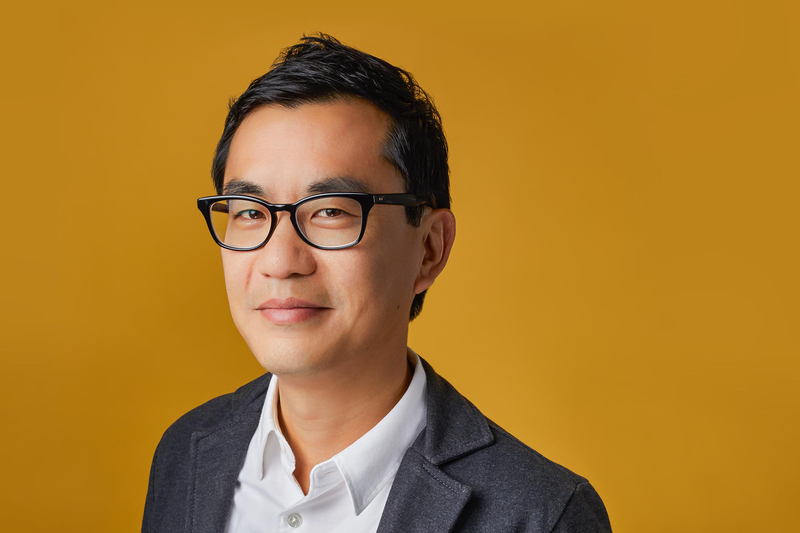 As for his proposed contribution to the Getting Real conference, Yang thinks it will be his perspective as a sum of the different hats he has worn: as a curator who has worked within a community of color, as a funder, as an academic. All those give him a different and particular way of thinking about what documentary is. "What are the stakes with documentary today? What do we need to ask of the documentary? I am interested in the form of documentary, documentary as a reflexive medium. The need for filmmakers to not only pay attention to the subject matter but also to the form that they are using to tell it. There is a very standardized language that can be a disservice to the content, to representing reality today. Engagement with the form of documentary can be a social-justice act. "At Ford/JustFilms," Yang continues, "the questions that we are always asking ourselves are, Who is telling what story, from what perspective, using what form? Our proposition is that if we work hard at scrambling that equation, we can ultimately reorient how power operates within society. There are a lot of embedded power structures in who is telling what story, from what perspective, using what form—often those aligned with who has been the storyteller and the approaches traditionally. But if we use our platform as funders for work that is realigning that, I think we will contribute to documentary culture and film culture. But we can also help to shift larger politics too."